Capacity: Quality system is tailored to function to Aerospace, Defense, Military, Agricultural, Heavy Truck, and many other industries. 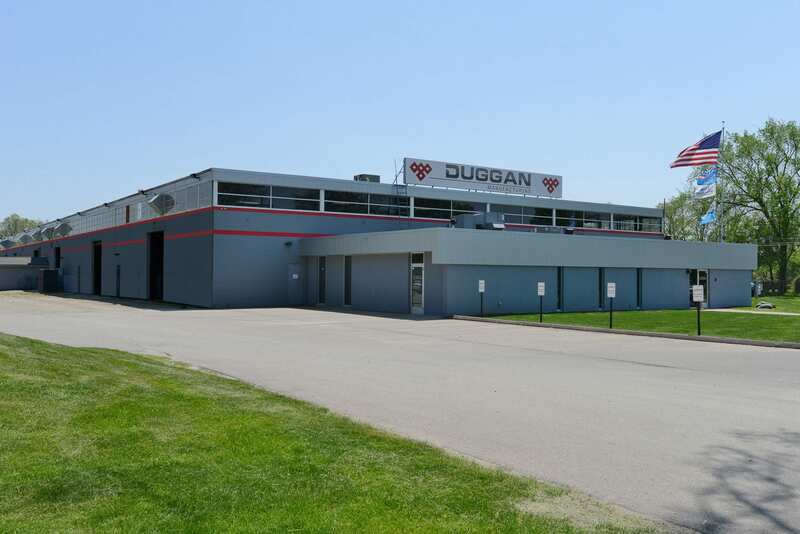 The ISO 9001:2015 standard forms the general basis for the Quality system at Duggan Manufacturing. Our company has been accredited to a version of the ISO standard for over 17 years. The ISO standard ensures a quality system that satisfies customers’ requirements across most of the industries we serve including automotive, aerospace and defense. We pride ourselves on having a robust amount of quality certifications beyond ISO 9001:2015, including IATF 16949, ISO 9100-D, and laboratory certification ISO/IEC 17025. IATF 16949 is the latest automotive quality certification standard for tier 1 and 2 suppliers and is required by most OEM’s. The standard fully replaces the previous ISO/TS 16949 standard. There were many refinements added relating to risk management and product safety. IATF 16949 is complimentary to and fully respects the ISO 9001:2015 quality standard. Duggan Manufacturing takes customer satisfaction and quality management seriously, that is why we are certified to the AS9100-D Standard. AS9100-D & ISO 9001:2015 is the standardized quality management system for both aerospace & defense industries. Major aerospace & defense manufacturers and suppliers worldwide rely on the compliance to ISO9001 as a base quality requirement along with the refinement of AS9100-D to ensure product quality that will meet or exceed customer’s expectations. ISO/IEC 17025 accreditation is the single most important standard for calibration and testing laboratories around the world. We are collaboratively tested every 6 months and have demonstrated repeatedly that we are technically proficient at producing accurate and precise data. This means you can have the confidence in our inspection methods and results. We also have the in‐house capabilities to self certify additional welding applications as the need arises. Please contact Duggan Manufacturing with any questions regarding our quality certifications.